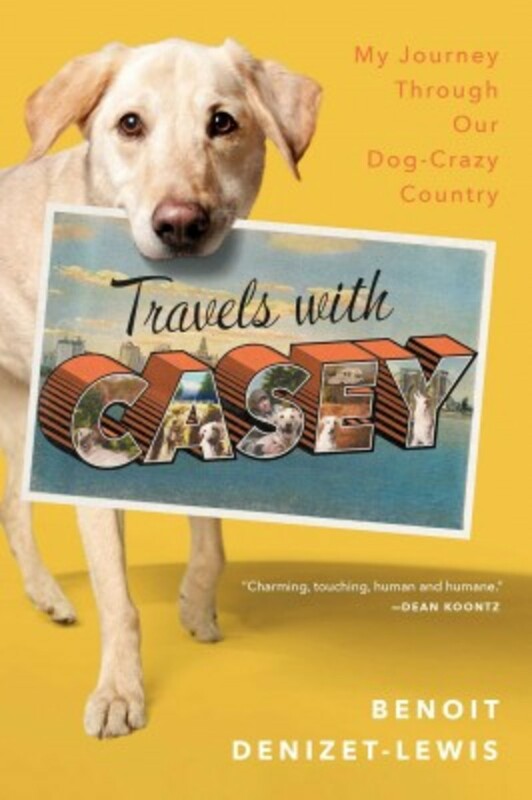 This article is adapted from Benoit Denizet-Lewis&apos;s new book, Travels With Casey: My Journey Through Our Dog-Crazy Country, out this week from Simon & Schuster. To learn more about the book, visit www.travelswithcasey.com. As I drove around the country with my dog to research a book about dogs in contemporary American life, I met a lot of people who loved dogs. I also met a few people who didn&apos;t.
One such encounter happened at an RV park in New Mexico. As I walked Casey through the campground one morning, we came upon a young woman in a purple robe cradling a bulging toiletry bag and listening to music on her headphones. I assumed she was on her way to the campground’s shower facility. I didn’t have Casey on his leash, and for whatever reason he found the woman worthy of further inspection. He galloped toward her, his head held high. The woman didn’t see or hear Casey approaching, and he made it all the way to her side before she let out a horrified shriek. Her toiletry bag hit the dirt with a thud. “Get that dog away from me!” she screamed, pivoting stiffly to locate me, the irresponsible dog owner. "I’d question everywhere I was invited. If there were a chance I’d meet a dog, I wouldn’t leave the house." I wondered if she really believed that. After all, Casey hadn’t bitten her—even as she’d screamed and nearly dropped her toiletry bag on his head. He’d simply backed away, his head down and his tail between his legs. As the woman picked up her bag and walked off in a huff, I was sorry that we’d met this way. 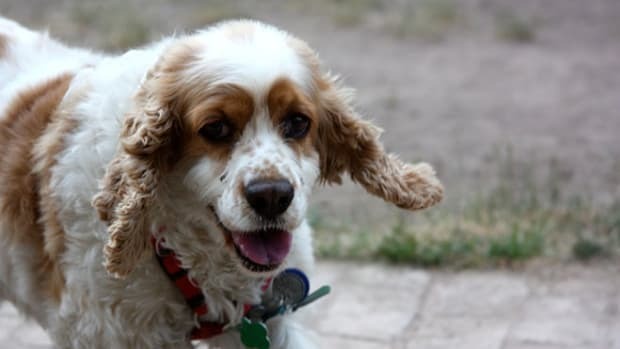 I would have liked to have a chance to speak with her about her cynophobia—her fear of dogs. 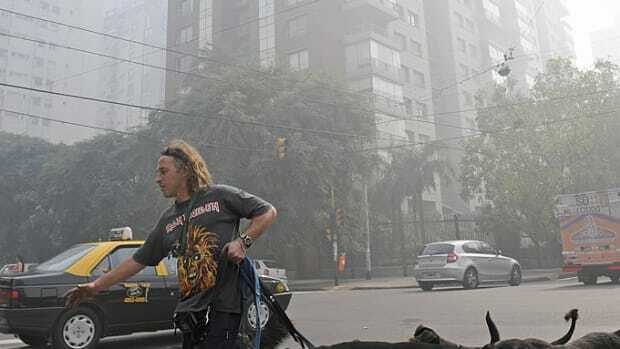 Those who study animal phobias have found that while more people are afraid of spiders or snakes than dogs, living with cynophobia is considerably more challenging—especially today, as dog-wielding humans appropriate more and more public places. Margo decided to face her fear only when she noticed her daughter mirroring it. “I didn’t want her to have to live like that,” she said. 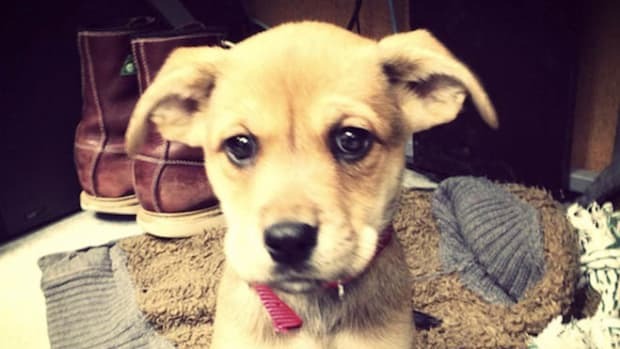 Margo and her husband decided to get a puppy (they named it Casey), and though Margo initially kept her distance, she warmed up to the dog after a week or two. Today, she’s much less fearful when she sees a dog in public. “But I’ll still never be a dog person,” she told me. Like many women who suffer from cynophobia (men are considerably less likely to be afraid of dogs), Margo can point to an early traumatic incident. 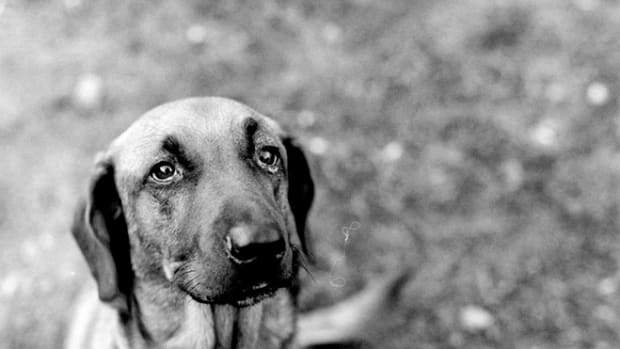 When she was five, she fell and skinned her knees as a big dog chased her down a sidewalk. I heard similar chasing stories from others. Robyn, a law student, said a neighbor’s German Shepherd followed her for several blocks while she jogged as a young teenager. Robyn worries that her cynophobia will hamper her future. What if she ends up marrying a dog person? What if she can’t go to a best friend’s baby shower because a dog is there? A fear of dogs can seriously impact a person’s social life—and good luck getting sympathy from friends or family. Kevin Chapman, a clinical psychologist at the University of Louisville, noticed the same anxious behavior among many African Americans that Anderson found. Chapman also discovered that nobody had explicitly investigated the incidence of cynophobia in African American populations. So in 2008, he and several colleagues conducted the first of two studies looking at the prevalence of specific fears across racial groups. Compared to non-Hispanic whites, they found that “African Americans in particular may endorse more fears and have higher rates of specific phobias”—particularly, of strange dogs. When we spoke, Chapman offered two possible reasons. 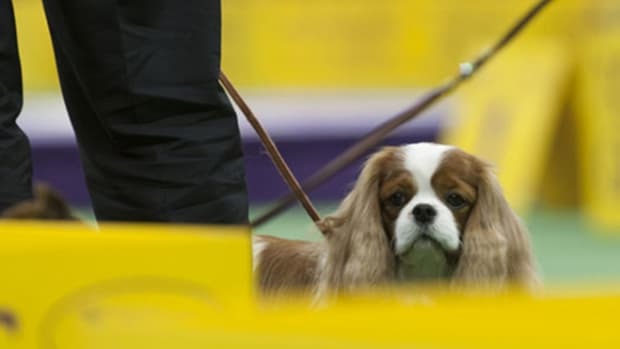 First, many dogs in low-income urban areas are trained to be what he calls “you-better-stay-away-from-our-property” guards. 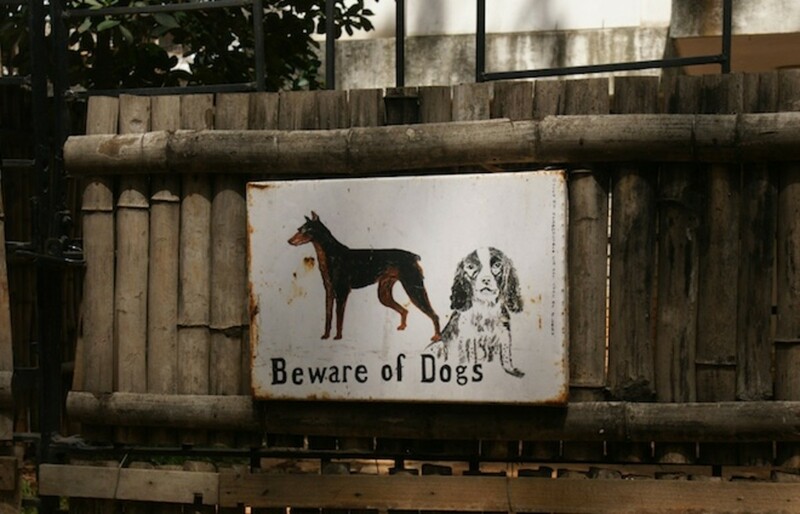 Being wary of those dogs makes sense—many of them are scary. In addition, Chapman told me, there’s “the historical notion of what dogs have represented for black folks in America.” In the antebellum South, dogs were frequently used to capture escaped slaves (often by brutally mauling them), and during the civil rights era police dogs often attacked African Americans during marches or gatherings. As Chapman and his colleagues wrote in their 2011 study, many African Americans were psychologically conditioned to fear dogs when the animals were used as tools of racial hostility toward the black community. That conditioned fear is transmittable through families, he explained, and has contributed hugely to a community-wide fear of canines. But though it seems that African American history has fostered a fear of dogs among some blacks, cynophobia mostly affects people who are conditioned to fear dogs and are predisposed to anxiety. 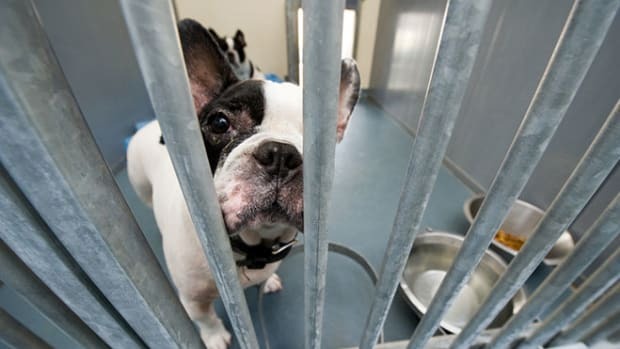 When coupled, Chapman explained, environmental conditioning and genetic predisposition are “powerful enough to make someone develop a significant or substantial clinical fear of anything.” And people who are that afraid—who have what Chapman calls “a legit phobia of dogs”—don’t discriminate between canines, regardless of how their fear is conditioned. Regardless of race, those seeking help for their canine phobia have several therapeutic options. The most effective is in vivo treatment, where a therapist walks a person through instructions of increasing difficulty with a heavily trained dog, from leading the animal on a leash to, in the case of a brave patient, putting a hand in the dog’s mouth. But as Margo proved when she and her husband came home with a puppy, you don’t always need a therapist to recover from cynophobia. Sometimes, you just need to hang around a friendly dog. And is dog walking a good way to persuade people to get more exercise? In fact, they might be something way more interesting.